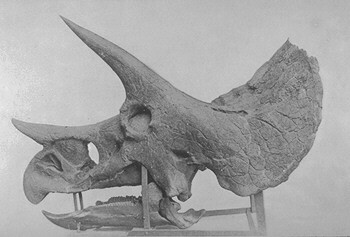 In 1888 John Bell Hatcher discovered a Triceratops skull, which was named and described by Marsh immediately. By 1892 Hatcher had found over 30 skulls for Marsh. 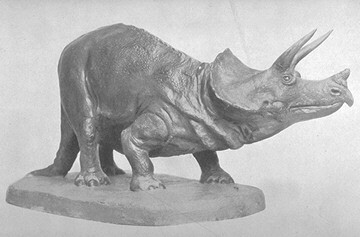 Triceratops represented a brand new sub-order of dinosaurs - the ceratopsians, or horned dinosaurs.